Our 11 oz. 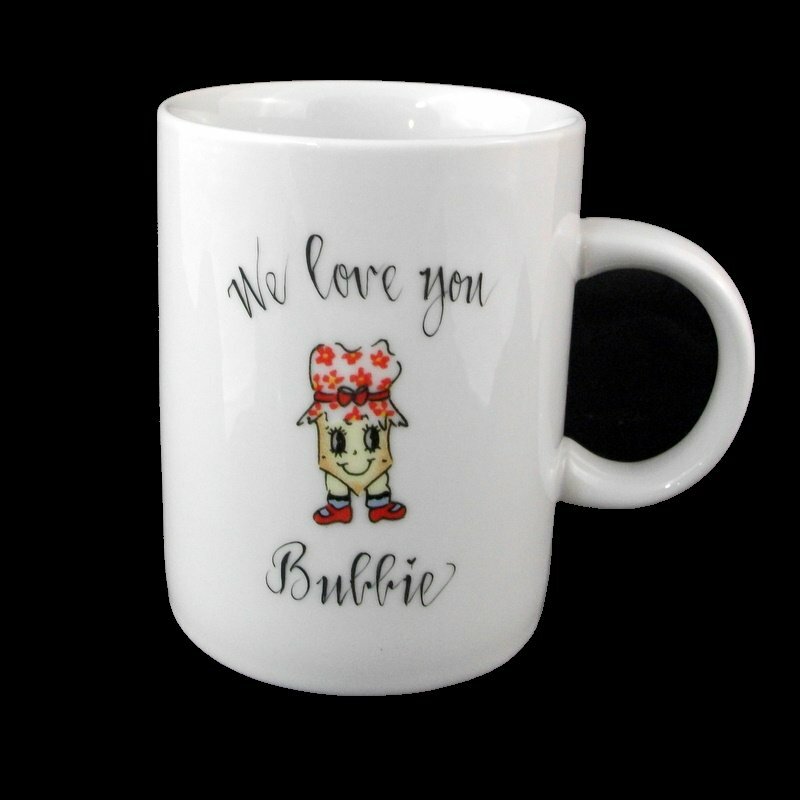 white porcelain coffee mug is personalized with a name and your choice of design. We will be happy to sign the back with all of the grandchildren's names. It is the perfect gift idea for your special Bubbie. A gift box with tulle ribbon and enclosure card is complimentary with your purchase.